Home/Bike History/Record breaking 100mph set at the TT 60 years ago on Avon Tyres! A VERY INTERESTING FACT… At this year’s Isle of Man TT, 27 May – 9 June, Avon’s motorsport team will be marking the 60th anniversary of the first ever 100 mph lap of the TT, set on Avon tyres. 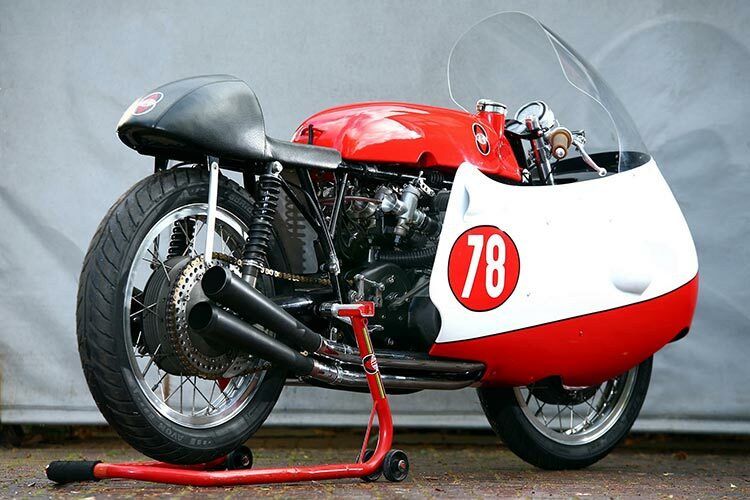 The record-breaking lap was ridden by legendary Scottish rider, Bob McIntyre, on a four-cylinder Gilera, running Avon’s Speedmaster GP race tyres. McIntyre set off in the 1957 Senior 500cc race and managed a 99.99 mph lap from a standing start, with a full fuel load, before breaking t…he 100 mph milestone on his second lap reaching 101.03 mph. Visitors to the 2017 Isle of Man TT can see a replica of the 100 mph lap Gilera, complete with accurate, period Speedmaster and GP racing tyres fitted. Away from the 60th anniversary celebrations, the Isle of Man’s Mountain Course will once again ring to the sound of full-bore superbikes and sidecars over the amazing two-week festival of road-racing. 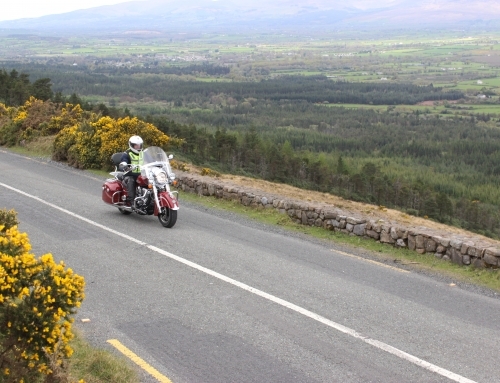 Avon will be offering a full support service to its solo and sidecar riders. 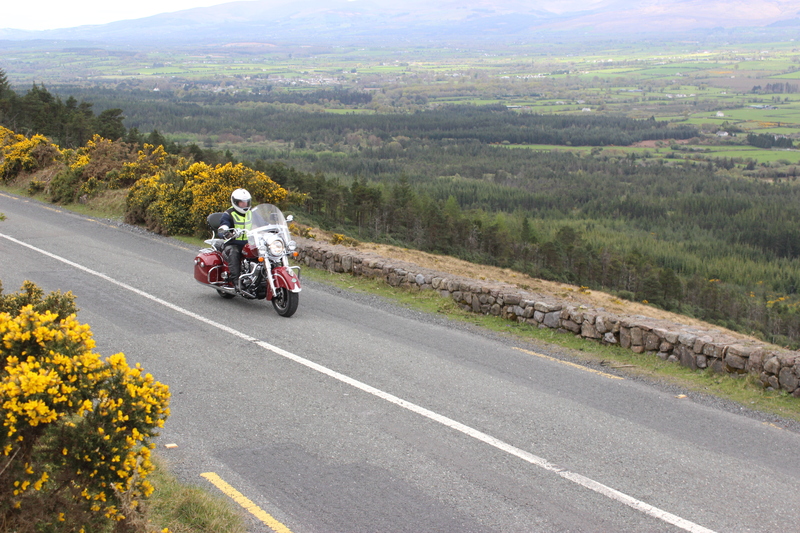 The three-wheeled classes in particular look to be on a knife edge, with no less than seven top rider/passenger teams in possible contention for a win. The 2016 Race 1 winner, John Holden, is running his Silicone Engineering outfit with a new passenger, Lee Cain. Conrad Harrison and Andy Winkle, five times World Champion Tim Reeves with rookie passenger Mark Wilkes, and Peter Founds/Jevan Walmsley are amongst the top teams to look out for in the sidecar races. Last year’s sidecar Race 2 winners, and current lap record holders, Ben and Tom Birchall will be the favourites for victory again this year. However, Manxmen Dave Molyneux and Dan Sayle will be trying everything to add to their considerable tally of TT victories. On the solo front, flamboyant French rider Timothee Monot will be racing on Avon’s Xtreme racing rubber in the Supertwin, Supersport 600 and TT Zero classes.